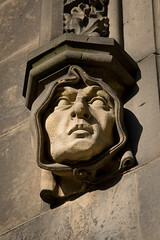 Since I was in Prague for half business, half pleasure, and we wound up visiting many of its popular sites more than once, instead of doing a timeline-based travelogue, I will instead dedicate each post in this series to an area or monument in Prague. 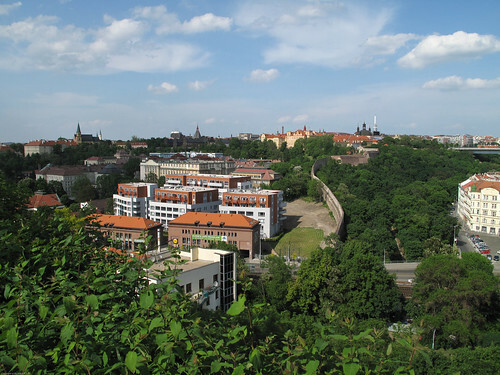 We’ll start with the lovely outlying neighborhood of Vyšehrad, where I spent much of the trip, since that’s where the company-paid hotel was. Aside from the rather important fact that it was not on my dime, this hotel did have a few nice features. 1) it was just a few steps from the beautiful Vyšehrad park and a short walk from the Vltava River, 2) their breakfast buffet was excellent, and 3) it was just a few Metro stops from the company office. 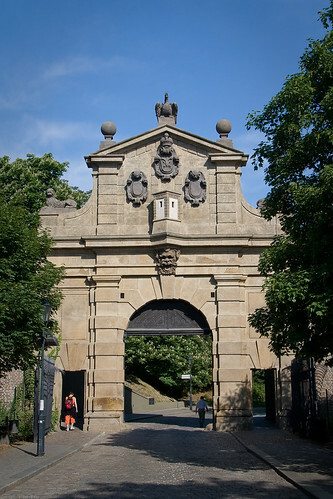 Just off of Pankrac is Leopold’s Gate, a relic from the Baroque period of Vyšehrad Castle. 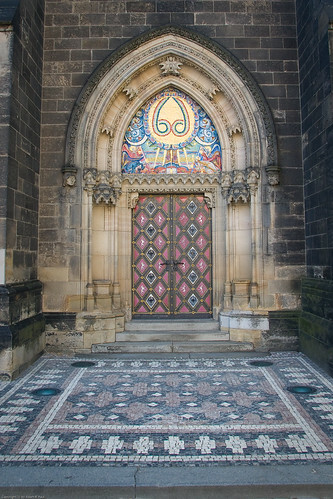 According to prague.cz, Vyšehrad was founded in the 10th century AD as competition to nearby Prague Castle, and was the seat of the first Bohemian king, King Vratislav II and the following Premyslid dynasty, ending in around 1140. 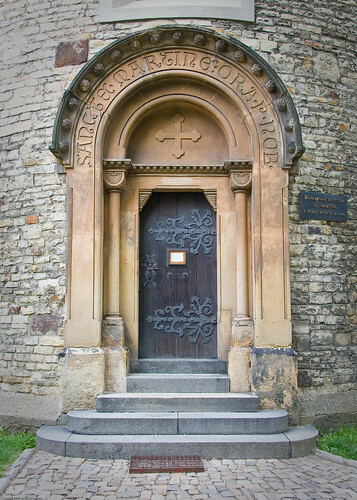 A short walk past a school for the disabled and a cafe is the Rotunda of St. Martin, possibly the oldest building in Prague, and one of the only buildings in Vyšehrad to survive the leveling of the area in 1420 when Hussites defeated King Zikmud in the Battle of Vyšehrad. Continuing right past the rotunda leads to a walkway atop ancient ramparts, and featuring excellent views of central Prague. Numerous benches and a couple of signs explaining the skyline invite the visitor to enjoy a stroll. Down and around from the rampart walk, the Basilica of St. Peter and Paul commands attention, with its mixed architecture and tall towers. 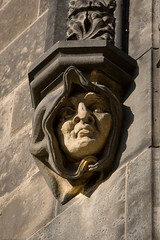 This church has had an eventful history, first built as a Romanesque basilica, the rebuilt in the 14th centurz in the high Gothic style by Charles IV, again as a Baroque church in the 1720s, with neo-Gothic additions in the 1800s. Its two towers were added in 1902 and 1903. 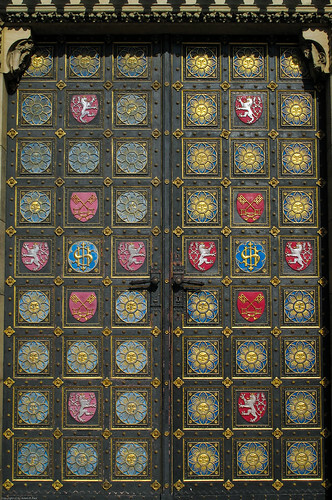 I´m afraid I have no idea about the significance of either of the gilt mosaic motifs above the side doors – if you do, please leave a comment! The grounds around the basilica are grassy with mature trees, and locals clearly enjoyed after-work walks here, for obvious reasons. To the basilica´s right is a wonderful cemetery (see the next post for that), and to its left a natural area with a few large statues. Although I heard many birds here, I saw but a couple, here a Woodpigeon (LIFER! 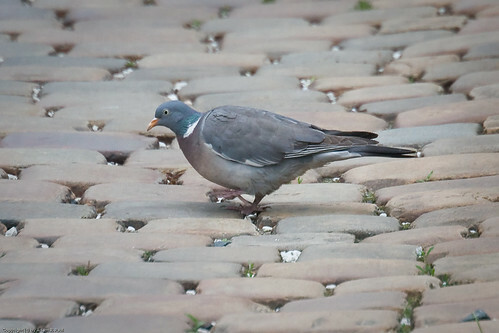 ), which doesn´t look very different from our feral pigeons. Now that’s an interesting question! 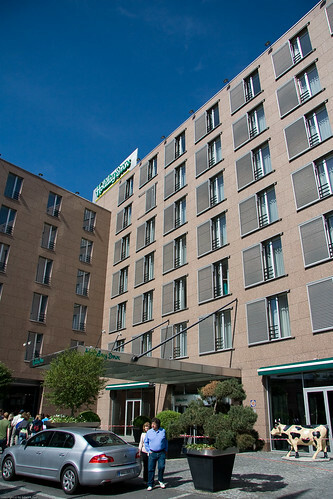 On the other side of the Holiday Inn is Congress Center, a large convention center complete with a casino, which was guarded by heavily armed soldiers for a couple of days when the EU summit was held here. A footbridge leads across the main freeway to a quiet residential district where I had a very good dinner of roasted pork knee, but which has little else to entice the traveler, unless you really want to visit a Libyan-owned hotel and casino to thumb your nose at US embargoes. 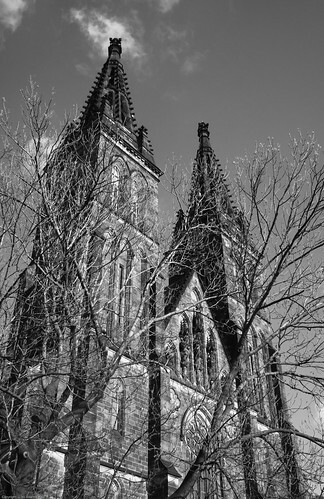 It´s too bad Vyšehrad is not in most tour guides, as I found it a very welcome respite from the hustle and bustle of touristy central Prague, but that very omission likely contributes to its charm. 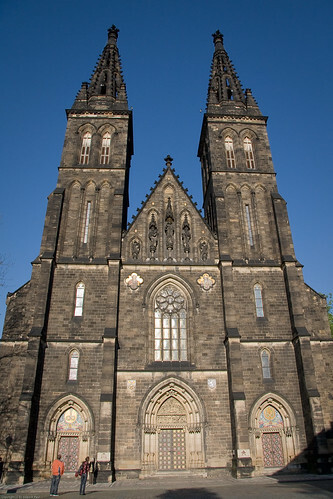 To get here, take the Red Metro to the Vyšehrad stop and walk away from the freeway, toward the tall towers of St. Peter and Paul. We accomplished team-building, which is rather important for us, as our workgroup is split between Menlo Park & Prague (my manager is in Prague). I missed the Golden Lane, as it requires an entrance fee during the hours its shops are open, and it was quite crowded the two times we went past its entrance. 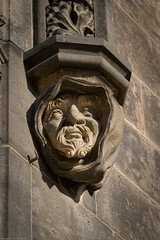 It’s part of the Prague Castle (Pražký Hrad) complex. Thanks for sharing. I almost visited Prague in March for work, but it turns out I was not needed there. So now I get to see what I missed out on! Too bad – hopefully you´ll get to go sometime. I really enjoyed it, although the center is extremely touristy. 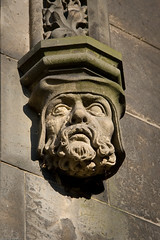 The wonerful architecture and history more than makes up for that and the mostly uninspiring food. Really interesting and great photos! Beautiful place, but how do you pronounce it? Those, along with áéíóúůý, are the easy accents. ě and especially ř are difficult. nice set Adam, seems like you had a lot of fun on the trip. i love the main door! the blues in general are pretty impressive in your pics too. you are shooting cannon right? are you using a polarizer? in particular i liked the blue tones in the first pic a lot! Thanks, Ankush! Yes, I these were all taken with either a Canon 30D with either Canon’s 17-85mm EF-S IS or 70-300mm DO IS lenses, or a Canon G10. I don’t recall if any of these shots were taken with a CP filter, perhaps so, as I did use one occasionally on the 17-85 on this trip. I also do a fair bit of post work, which may account for some of the blues, although we did have lovely blue skies for many of the days we were there. 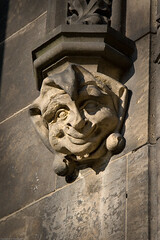 The 6 grotesque figures are 6 of the 7 deadly sins. 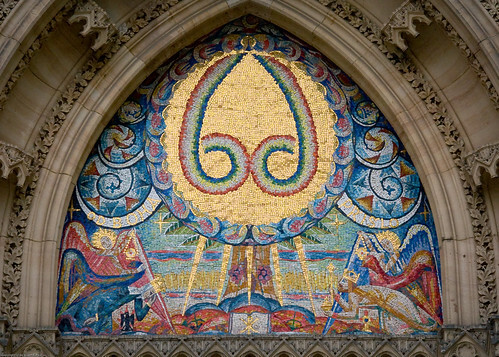 The 7 sins are: Lust; Gluttony; Greed; Sloth; Wrath; Envy; and Pride. Which is which in your photo I am not sure. I think “Tuscano Design” sold replicas of these figures, although I could be wrong. Thanks. 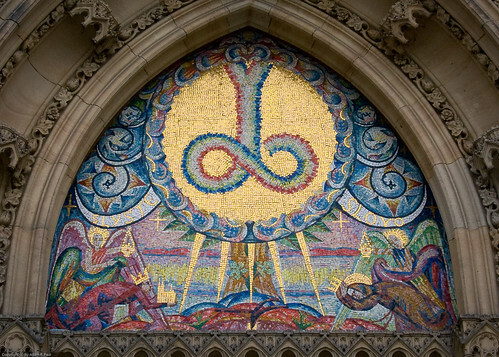 I am going to Prague in one month and will go see these. 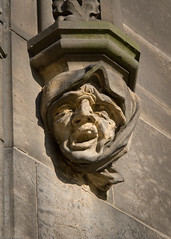 Welcome, Joe, and thank you very much for the information about the grotesques! I’ll be posting more (many more) photos & posts from Prague over the next few weeks, which may be useful to you for your visit. I love this post and the pictures. You’re right about the center being really touristy. 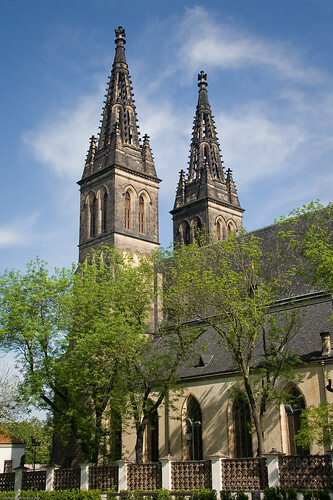 I always tried to find things off the main tourist routes, and Vysehrad is a great example. 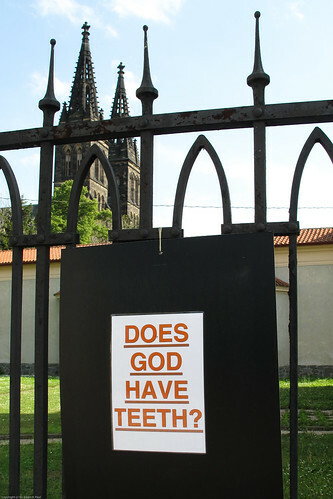 It sure is – although we saw quite a bit on our Prague trip, Vysehrad was one of my favorite places. 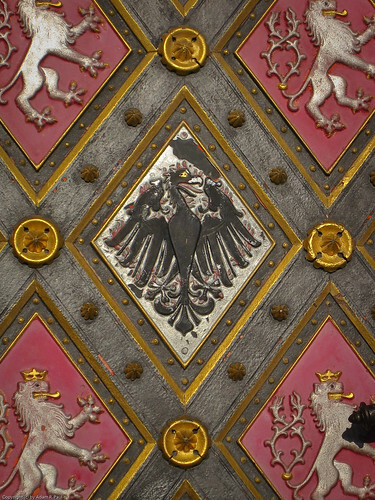 Mr. Paul, I came upon your blog in doing research for our family trip to Prague in September 2010. First off, your photos are stunning — I love all the details you captured. Additionally, your notes regarding your experiences are interesting and helpful. I thoroughly enjoyed experiencing second-hand your adventure in Prague. Thank you! Thank you for the kind comment, Audrey – I’m very glad you’ve found this series useful! 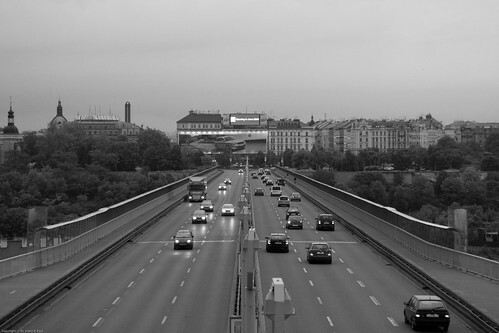 Enjoy your trip – Prague’s wonderful! The place is really awesome and the pictures were taken professionally. The color of the doors is catchy and pleasing to the eye. Artistic and gives me some idea. I hope I could also visit the area. Looks interesting. Thanks for sharing!